Melbourne Uni or Sydney Uni? Which will become Australia’s Harvard? It costs at least US$42,000 a year to attend Harvard University, and up to US$68,000. You get what you pay for, with average starting salaries of US$60,000, and rising fast. With deregulation of higher education fees announced in the Budget, we will see Australian universities put their prices up. The prices charged to overseas students (around $20,000 a year) might only be a stopping point on the way to competing with the global “best”. Putting up the price of an education won’t hurt demand as much as putting up the price of a textbook. In a market like this, price is a quality signal that drives a virtuous circle – attracting better students and staff in turn attracts better students and staff. This is why the applications process for the world’s top universities is so competitive. “Sandstone universities” are likely to be the first Australian institutions to move. But which will move most boldly? Melbourne University knows something about its local student body. 70 per cent of them attended private schools, including 35 per cent who attended the kind of independent school where school fees can approach $30,000 a year. It can probably raise prices without holding too much fear of empty classrooms. Of course, average incomes in Sydney are even higher, and so are private school fees. But then Sydney’s rental market is tougher. A uni that wants to call itself Australia’s Harvard needs to drag the best students in from across the nation and the world, not just the eastern suburbs. So far, only the tuition fee cost of university can be put on a HECS/ HELP loan, so living costs will be relevant for many. I suspect Melbourne*, with its forays into the Melbourne Model, and its previous attempts at setting up a private university, has a lead in trying to distinguish itself. And other proposed changes in the budget may cap student fees well below the US level, by making Australian students less willing to pay a lot for university. 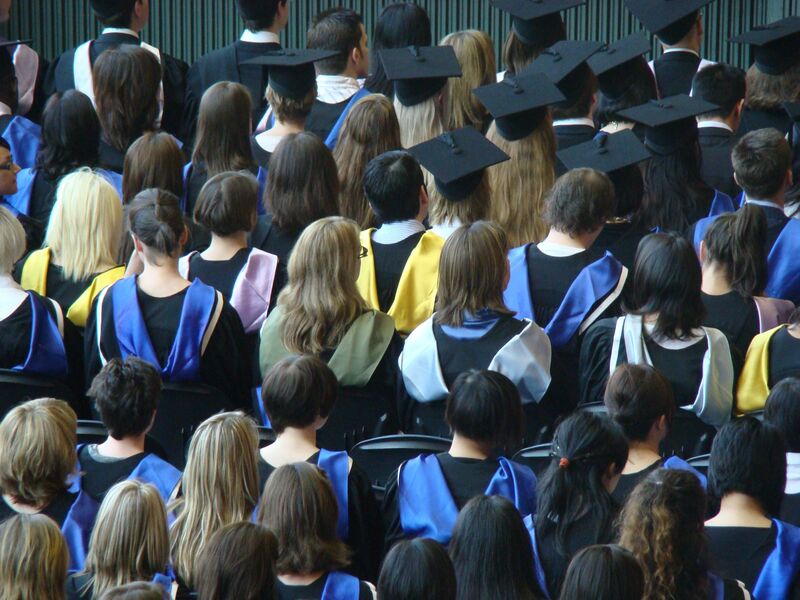 The government is proposing that the HECS/HELP student loan system use a real interest rate (the government bond rate, capped at 6 per cent), rather than just indexing loans to inflation. This will make student debts rise faster. Experts have speculated that student debts could go over $120,000. Raising prices would only make that even higher. Of course, higher headline fees can be matched with “generous” scholarship programs. US universities know that a $50,000 course and a $10,000 scholarship is a better marketing proposition than a $40,000 course. But those scholarship programs don’t change the fundamentals. In fact, 10 per cent of students receiving financial aid at Harvard come from families with household income over $200,000 a year. The US model of elite universities does not serve the goal of public education more generally. They do not help people get an equal start. They help the advantaged get ahead. Whether it is Melbourne or Sydney University that takes the crown – and starts getting a lot more attention in our status-obsessed world – or whether it is ANU or UQ, the result will be the same. A more unequal Australia. Previous Previous post: Is this Budget pushing 50,000 people out of work? Next Next post: What would really happen if we gave more tax and spend power to the states?